How will this affect our food in the future? The same technological advances that brought us the Internet are about to change farming forever, though some say it’s a bittersweet way to make sure the world gets its organic produce on schedule. The technologies used for the old-paradigm mono-crop are getting more high-tech than ever, but will this affect the slow-food movement, and the desire of consumers to access high quality, non-GM, organic food from their farmer down the lane? One such example of the latest farming technology is satellite driven geo-positioning systems and sensors that detect nutrients and water in soil. This technology enables tractors, harvesters and planters to make decisions about what to plant, when to fertilize, and how much to irrigate. As this technology progresses, equipment will ultimately be able to tailor decisions on a meter-by-meter basis, but this still doesn’t change the concerns of foodies and environmentalists alike. For example, is mono-cropping really the way to grow great food? Then there are the hyper-futuristic robo-farms that require practically no human intervention whatsoever. They are highly coveted for urban spaces, and can actually decrease negative impacts on the environment by reducing water consumption on a per-plant basis, and having the ability to grow a variety of crops during seasons that don’t normally see a cornucopia of produce – like guava and pineapples, Myer lemons and nectarines in the dead of winter. 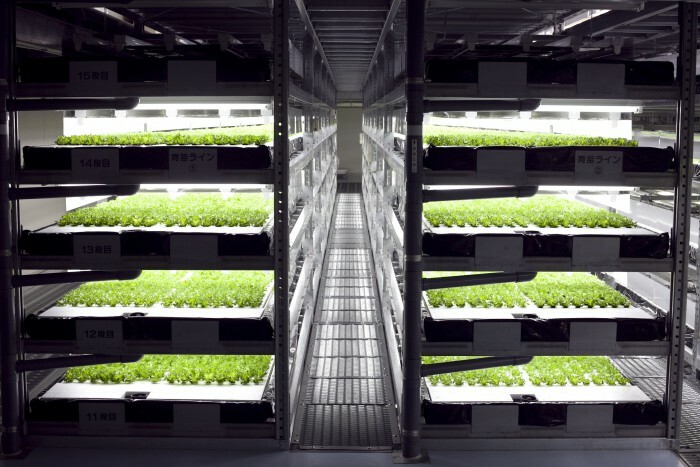 Kyoto’s SPREAD farm can harvest 30,000 heads of lettuce in a single day everyday. What rural farm can compete with that? Conventional farming, or mono-cropping, has relied on heavy use of chemicals and genetically modified seed, while some of the new farming technologies, like a robot that pulls weeds, eliminate the need for herbicides and pesticides. 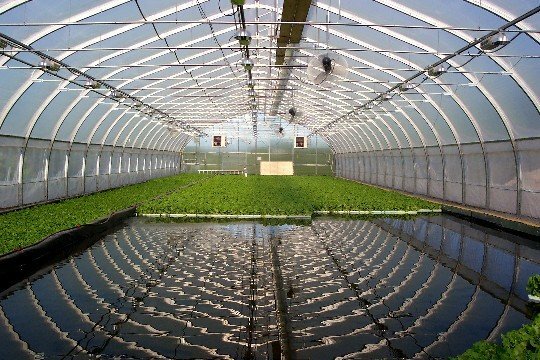 Utilizing highly advanced, modern versions of techniques like aquaponics, developed by ancient civilizations in China and along the Amazon, for example, farmers are now growing nutrient rich plants, and raising fish at the same time. Even small aquapoincs systems provide a huge return on investment when you consider what organic food can cost at your local Whole Foods. Some of the largest systems currently up and running can provide 5000 heads of lettuce a day, while also putting out Swiss chard, Italian parsley and several types of fish, like tilapia, to boot. Then there are the novel technological tools being used in animal raising. Some farmers are placing fitness trackers on farm animals to monitor their health and welfare. The dairy industry has been at the vanguard of this, where robotic milking and computer-controlled feeding equipment allow for the careful management of individual animals within a herd. Should All New Technologies be Used? At the head of all this you will hear about the latest technology from the biotech world, such as CRISPR, that allows scientists to edit the very genome of a plant or animal, but not all technologies that can be used should be used. While learning to grow massive quantities of organic food in urban landscapes without pesticides is great news, taking away human oversight from farming isn’t necessarily going to make our food better. Similarly, you can use your I-phone sparingly, or a whole generation will suffer from socialization problems because they live in the virtual, Internet, and video-game world. Not all technologies will serve to the level that we hope, but some just might help us reduce pesticide use, and get our organic greens simultaneously.